Hardcover with jacket, 480 pages, 13.5 x 21.5 cm, 5.3 x 8.5 in. He is one of the most important and best-known German painter of the 20th century and the most biting satirical artist of modernism: George Grosz, who was born in Berlin in 1893, and gave the years between 1914 and 1933 their true face. No one was safe from his razor-sharp drawings and paintings; he caricatured big wigs from the fields of politics, the military and the clergy as well as the bourgeoisie; he was fascinated by the metropolises and people with all their animal facets. After World War I he was one of the leading members of the Dadaist movement before he left Germany for the USA in 1932, a move that in view of the national socialist threat probably saved his life. Yet there is more to the life of George Grosz, one of the artists most hated by the Nazis: it is the story of professional success, ambition, alcohol, passion, tragedy and fall, depression, anxieties and oblivion. The book by Alexander Kluy is a comprehensive, vivid and powerful account of the life and work of this outstanding artist. The author has for the first time assessed countless documents and archive sources and has spread out the biography to make it into a grand panorama of modern history. 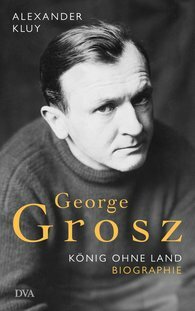 "Following on the numerous exhibitions and collections of correspondences celebrating Grosz, this biography, rich in sources, closes a gap"